Xeox Pro Gamepad Review – Starts from the box Let’s Open it up inside the Box you got User Manual, A CD for Drivers for Windows XP or Vista. And the Gamepad itself that’s it for the unboxing. 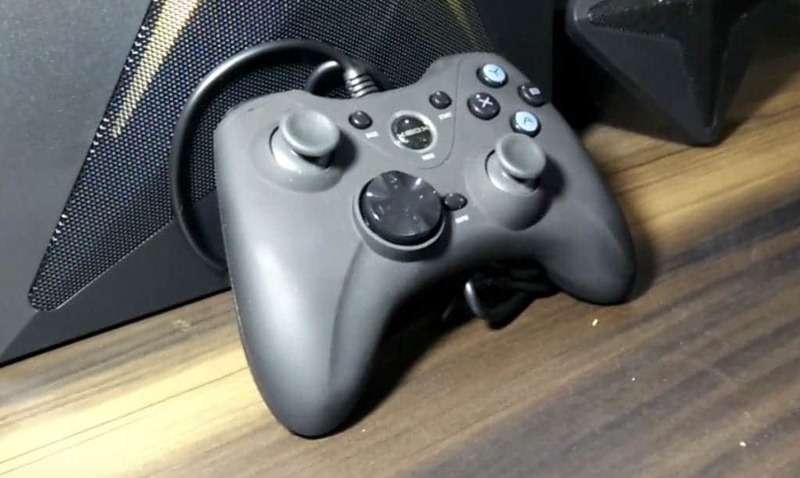 Let’s take a Closer look at controller Xeox Pro Analog Gamepad controller Looks really similar to Xbox Controller. The gamepad has really Nice Rubberise Coating which Feels good while playing games for the longer period of time. Let me divide this review into pros and con’s you guys get the fair idea about this device. Wire Quality is Really good feels Durable and they provide bit long cable which is 1.9 meter which is very useful when you like to play from Distance. But sometimes long wire equals to delay in response time. But don’t worry they also put joint here so you doesn’t face any issue. It works with all the Game even you have old Xinput game or New Direct Input games you just have to set button on the back to x or D.
Vibration is really Great on this Gamepad. It feels pretty natural maybe due to rubberize coating. No backlighting for Buttons which is expected for any gamepad in this Price range. And that is the main reason I don’t recommend this gamepad is due to that button doesn’t pop out instantly. If you press any button 10 times you definitely notice this 2-3 time. And that start to happen after 5-6 days of usage. I don’t expect this type of issues from a gamepad which cost 1500 rupees. It works only with windows operating system which also a downside. So, what you should do buy or not. Frankly, I loved the feel and design of this gamepad but if it buttons break my heart So, even I loved this one I can’t recommend to anyone.